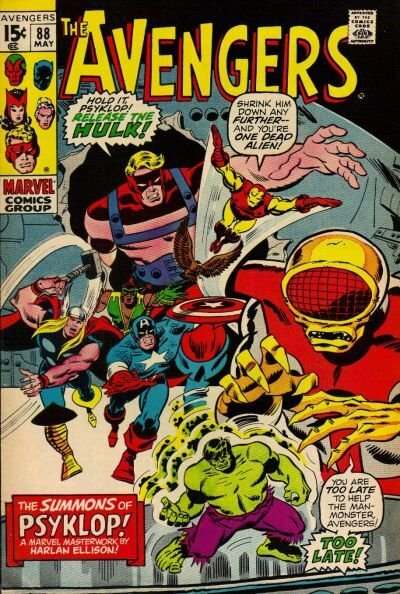 Click Here To See Avengers #88 Comic Book! Check out this very nice 1970 SILVER AGE MARVEL page, which was penciled by the great Sal Buscema and inked by the GREAT Jim Mooney, from the story titled: "The Summons of Psyklop!" This nice 1970 Sal Buscema page from the Avengers features images of the Hulk and Mr. Fantastic - Reed Richards, and it is loaded with "crackle". Sal Buscema would go on to be one of the most prolific artists on the Hulk in the Bronze Age and beyond, so it is interesting to see his take on the character near the start of his career. Avengers art dating from 1970, (Like this one) is scarce in the art market relative to increasing demand, and pages featuring the INCREDIBLE HULK from this era are few and far between. 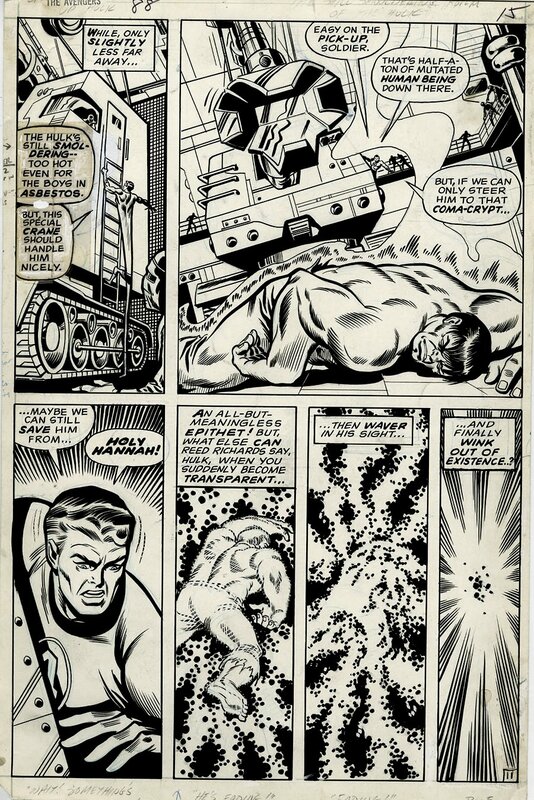 SILVER AGE Avengers pages are VERY hard to find in the hobby these days, so don't miss out on a great opportunity here to own a nice SILVER Age 1970 action page! ALL art on our website (including this one) are able to be purchased with VERY fair time payments, and trades are always considered towards "ANY" art on our website! Just send us an email to mikeburkey@aol.com and we can try to work something out.